When you think of the three-piece suit, you think of the Thomas Crown Affair, or Al Pacino in The Godfather Part II, looking as fierce as any actor ever. You think of high-powered attorneys and CEOs roaming the courtrooms and boardrooms of the 1970s. The question is: Do you ever think of yourself in one?You might want to start. 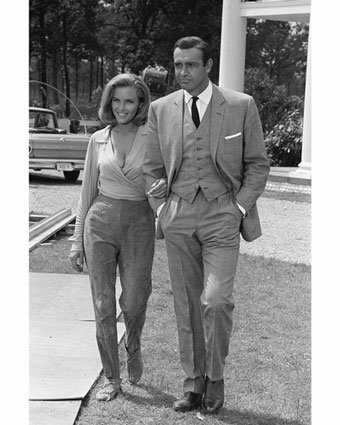 The three-piece suit no longer suggests you have the corner office (or a tommy gun); it suggests you have style. Of course, it’s not as easy as one two three. You need to know how to wear it and where to wear it. The three piece offers a razor sharp suit. It even has other uses as recently reported by the New York Times. Whatever your use for a three-piece, every well dressed gentleman should have one. See also: Affair, Al Pacino, bespoke, bespoke shirts & bespoke suits, bespoke tailors, England, Enjoy, Henry Herbert, Henry Herbert Tailors, Justin Timberlake, London, Made in England, overcoats, piece suit, Read, reviews of bespoke suits, Savile Row, Savile Row Suits, savile row tailors, scooter tailor service, service, Shirts, suit, Suits, Thomas Crown, thomas crown affair, tommy gun, vespa scooters. Autumn is approaching...make a getaway in a three-piece. - Bespoke Suits By Savile Row Tailors.